Small town Wiltburn has seen an unprecedented rise in drug related activity in its neighborhood and in the last few months local dealers have been outnumbering users with a ratio of 2:1. This recent soar in dealers has been blamed on recent local factory closings as well as cutbacks to welfare and unemployment. But ultimately, the recent rise in dealer activity was likely caused by the local meth lab explosion that occurred recently which exposed the building's basement and gave open access to the large surplus stock of extremely potent crystal meth that was being hidden away by the now deceased occupants. Local addicts immediately rushed the location, helping themselves to obscenely large bags of the substance before any authorities arrived on scene. "Ever since that explosion you don't have to walk more than 5 feet before like 4 different people are ready to offer you their crappy ice pills man," says longtime party-goer Justin Mallock. "I remember when I was the only guy on the block who knew how to get this stuff and now it's like everybody is slinging." Justin is not the only one voicing his discontent. The most critical blow to this illegitimate economy has been to the local party scene. The sudden surplus of drugs available to party goers has caused a dramatic drop in prices, forcing some dealers to start practically giving away or even taking their own drugs just to avoid the massive stock depreciation of local meth. This soaring surplus has been a positive benefit to others. Another local addict expressed joy regarding the recent surge of dealers claiming; "ain't never have to go more than 5 feet and you get four people selling at like Walmart prices." In recent weeks, the Wiltburn drug market crash has led to an increase in violence between dealers as they have begun resorting to divisive means in order to thin out the market. 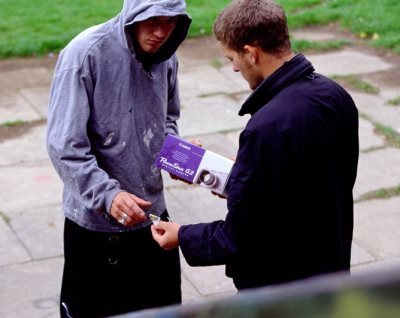 Most of the recent drug dealer deaths in Wiltburn have been over-dose related but police are speculating whether it is due to gang rivalry or dealers trying to consume their own stock before it becomes completely worthless on the streets. The initial and irrational momentum of the crash led some to speculate that some dealers have even been using less cutting agents and offering more pure substance in order to remain competitive. "That would explain the recent rise in reported psychotic episodes we have been receiving," says constable Lorimer. Police are confident that the surplus chaos will end as existing drug stocks eventually dry up. "Everything will eventually return to normal once the supply of meth is consumed and the ongoing violence ceases," says constable Lorimer. "People will eventually pay normal prices again and we can all go back to catching bad guys." Whether you are a junkie or dealer right now, things in Wiltburn are likely to get a lot worse before getting better. With so much to go around, police urge that non-meth users take this time to stay indoors and catch up on some reading or play games with the family while they wait out the temporary crash.